This year, Ninja Warrior moved from the land of Cowboys to Space City as they competed in Houston, instead of Dallas. You wouldn’t know it when some people talk about it, but going to space is hard. So was this course for the city qualifiers. 1 Disqualification (One person got hug up on the Cargo Crossing). 1. Redemption After arguably 1 year in the Ninja Warrior Desert, Brent Steffenson completed the course. Is this the return of form for him? We don’t know but we need to see how he does in the city finals. Sam Sann after having some bad luck throughout the two years, completed the course with no issues thus he was redeemed. 2. NBC Curse is real (if you believe). 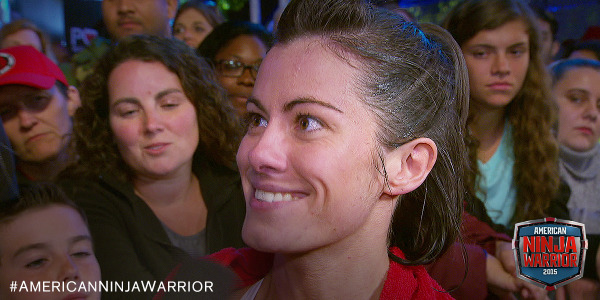 We’ve seen this sceanrio with Brian Steffenson, Brain Arnold and now Kacy Catanzaro who failed at the Cargo Crossing. Sometimes it’s the pressure and other times its luck, is it one or the other? We’ll see next year. 3. Spaced Out: Houston lived up to it’s Space City name because the course was out of this world. Over 51 people failed on the Tilting Slider making the completion list very small. Brutal. It will be interesting to see who can qualify for Vegas after this scenario. Artis Thomson III failed at the rolling log. Matt Lessig, failing on the Tilting Slider. Read his blog for more about his experience. Anthony Scott failed at the same area as he did last year (5th obstacle) but qualified. Vance and Dave Yarter are the first father/son duo to complete the course. Dad Ninjas are now a thing with Ryan McCoy and Sam Sann among others showing that Dad Bod (and the puns) don’t mean much. No love for couples as mostly the women failed here. Damn shame. We had a Beauty and a Beast pun, but no Space Pun, or even a mention of Paul Wall? C’mon! Remember people: NBC loves playing up darlings, and it’s no bueno. Same thing happened here with Kacy. Next, Orlando here we go.